Indeed and after 4 straight wins the criticism comes but no criticism of Vettel, strange. Who are the people criticising Hamilton for being 3rd? I can see one post saying that Austin should have been Hamilton's. And I can see why, in theory Hamilton got pole, had the "faster" of the Ferrari's disabled with a penalty and a collision and that pit stop under the VLC looked like it could be a masterstroke for a while. It didn't work, but I have not seen any huge criticism on the internet, no hell breaking loose. 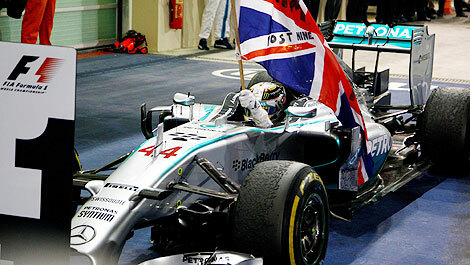 Lewis had a very strong race, he probably gave Kimi some breathing space as he kept Max busy in the final laps. But overall he was solid. As for his personal life style, he is used to it, he gets criticised every week!!! After quali and the spin it should have been a walk in the park for Lewis. Look mostly I'm just taking the gherkin at pokerman for coming with the exact same comment about Vettel in his thread, seemed unnecessary is all. Last edited by Covalent on Mon Oct 22, 2018 4:48 pm, edited 1 time in total. A walk in the park? Based on what? He was in second, behind a faster car and on the slower tire. There were also other issues with their car in Austin. It probably wasn't a very good race performance if you look at it in isolation but it was a good championship performance. He wasn't aggressive enough with Kimi or Max when a little more aggression would have put him in a much better position, particularly with Kimi early on. That said the only reason he did hold back so much was because of the championship, no need to risk it with the lead he has and Vettel being behind him on track. So yeah in terms of this race Hamilton could have performed better but it was a measured championship-minded drives which is exactly what he should be doing. Ah I see now we can't be criticising Vettel, I mean what did he do wrong? I agree. It was certainly winnable for him and earlier in the season he may have been a little less conservative in trying to pass. Lewis is a wise old head these days, a far cry from his early career. I hope Verstappen matures in this way as well over the coming years, because then we'll have one hell of a racing driver. You said he should've won yet didn't, I said Hamilton too should've won yet didn't. I've answered this in the Vettel thread. When your argument has reached the point that its bouncing back and forth between threads but isn't going anywhere, it's probably reached the point for you both to call time on it. Five time world champion and thoroughly deserved this season. Was this his best season? It's probably been his best season. Even today he easily outperformed his team-mate, which is the best judge of the car which was miles behind RBR and Ferrari on race day. The season has been solid and secure from Lewis, and he's sprinkled in some special performances. What's remarkable is that he's made no blatant mistake for the entire season. He's had weekends where he wasn't fully on the pace but in terms of blatant errors costing him you can argue there's not been even one significant mistake. Now based on what I can remember from so many previous seasons, that's rather unusual. Hopefully he finishes the season with strong performances after having now wrapping up the WDC. I think he'll be hungrier this time. 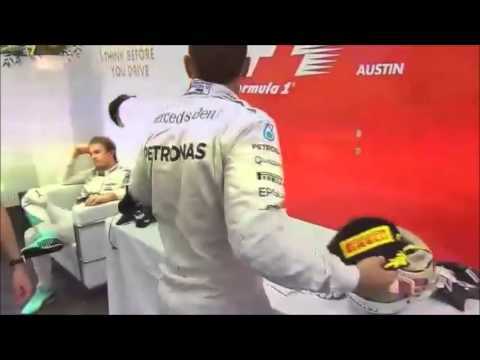 He won't be pleased to win the WDC yet again without making it onto the podium. Mercedes have serious work to do though and have answers to find given their race performance in the last two GP (Mexico and US). Their tyres are getting fried. The 2006 GP2 season, where I first heard of Hamilton, doesn't seem that long ago. I still remember the pit lane at China 2007 that nail biter at Interlagos in 2008 like they were yesterday. I'm not a Hamilton fan in particular but 5 world titles is one hell of an accomplishment. 2018 will almost certainly go down as Hamilton's finest title to date. It's been an impressive performance to seal the title through consistency and professionalism, the hallmarks of what made him so special in 2007. There can be no doubt that the SF71H is an excellent car and to defeat the Ferrari-Vettel package when it's so competitive is amazing. A fabulous accolade for an excellent year. Bravo, Lewis! I go back to 1998 the year he signed for McLaren Mercedes as a 13 year old and I clocked him at a kart track the same year whilst I was testing my kart. Massive congratulations Lewis. One hell of an achievement and one of his best years, if not the best. It's appropriate that he has equalled Fangio's record as he is at least as important in F1 history as him. I got a feeling like Vettel had after 2013 that further WDCs maybe harder to come by as other teams get more competitive. 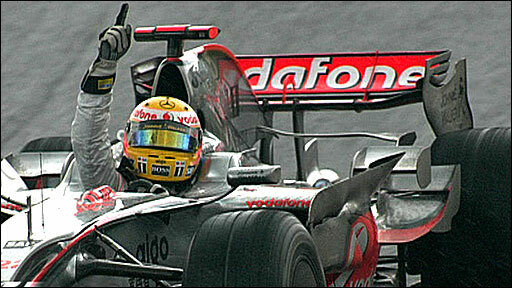 Regardless Lewis has already done enough to be considered as one of the greats, in the all time top 5 or 3 maybe even 1st. I am also very pleasantly surprised at what an intelligent driver he has turned out to be to ally with his considerable natural talent. Such an impressive season. Started out a little slow, but once he got in his groove he was incredible. There were quite a few outstanding performances in qualifying, races like Hockenheim, Monza, probably 2 of his best wins ever. Hopefully he can add another win to the stable before the season end, it would be the perfect exclamation point to what was truly an amazing year. Congrats to Lewis, a title well deserved. 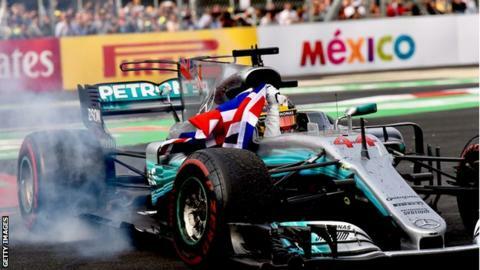 A well deserved title yet for Hamilton, although the celebrations on the radio immediately after taking the checkered flag were a little muted. I would have thought the euphoria to be palpable. Anyway what a season especially since the British GP he went on an astonishingly good run, up until the Mercedes turned back into its former tyre muncher guise. No.5. I can’t believe it especially since he has been driving in one of the more talented fields ever with the likes of Alonso, Vettel, Rosberg, Verstappen, Button, Kubica, Raikkonen, Ricciardo and overlapped with Schumacher a bit. Top Notch career that puts him in the top 5 best ever drivers and he is not done yet. Well done Lewi5! Congrats to Hamilton for 5th title. An almost flawless season. 2008 is an underrated year IMO. This is one of the rare occasions where the WDC’s team did not win the WCC. The Ferrari was the faster car and Massa got a lot of help from Raikkonen as well. The pressure Hamilton must have been under leading a huge corporation like McLaren in only his 2nd season must have been immense especially after what had happened in 2007. 2008 is hugely under rated, yes he made errors but he drove out of his skin. He took the 2nd best car to the title largely due to his wet weather brilliance. Heikki scored 3 podiums in that car and 7th in the WDC. You have to go back to 1985 and Lauda for a worse performance for WDC’s team mate in a full season. Lauda had 12 DNF’s that season in 16 races. 2015 is the hardest to place. Thrashed Rosberg in the first 10 races to a higher degree than ever; then Rosberg closer to him than at any point in the last 10 and essentially his equal. 2014, one lap pace was a little slow but given race pace difference this must have been setup related. 2018 is 2017 with less off weekends and more examples of great race craft. 2008 still comes out last but it was arguably the hardest title to win after 2018. Can he win a post title race? I think too much is made of this stat. 2015 Rosberg won the last 3 races but he was threatening to win most of the races in the 2015 run in. 2017 he spun in Brazil qualifying and started from the pits and put in a great drive to finish 4th just 5 seconds off the lead. AD is the only poor performance in terms of speed, out qualified by Bottas by 0.170 and they ran the race in formation. Will this be his last WDC? Well Ferrari had the faster car up until Singapore then after that you can add Malaysia and Mexico. It all depends how someone scores the races up until Singapore. If you are talking about better car then the Ferrari was behind on reliability. The Mercedes by the end had the faster and better car but not by much IMO, there was plenty of Vettel losing points aswell. I think it's getting harder for him as Mercedes slowly decline in performance in respect to the competition, 2014-16 dominant, 2017 close to equal with Ferrari, 2018 fallen behind Ferrari. Indeed you have faster then you have better which includes reliability, however reliability doesn't seem to get mentioned that much this year only which car is faster, the Ferrari this year has been bullet proof in comparison to the Mercedes.